Pen drive / Memory stick data recovery software saves and get back all lost, missing, corrupted files, folders of music videos, pictures, digital images and other data stored on your USB supported pen drive removable media. Software support both Windows and Apple Mac Operating system. The pen drive data recovery software is automated undelete files software solution which operates at its best and is the easiest data recovery techniques from corrupted / damaged memory stick. 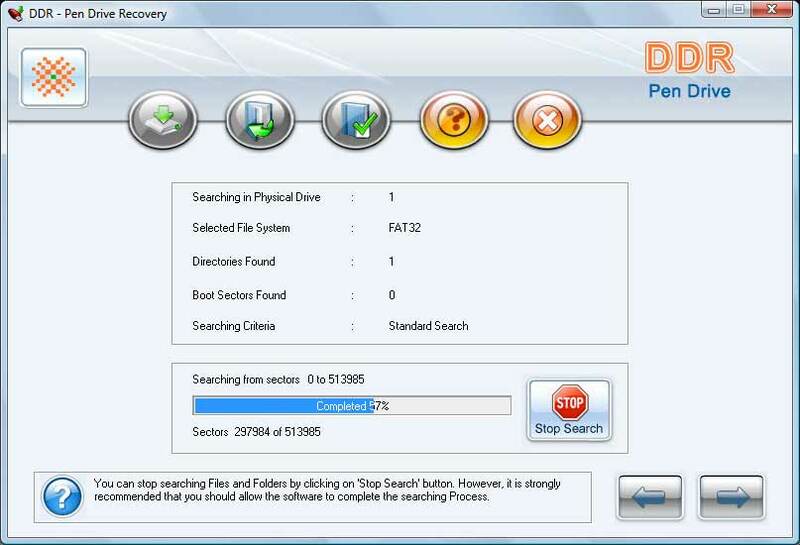 This safe data recovery software is used to restore all your files and directories from bad crashed USB keychain drives. The Software recovers data even if “drive not formatted” message is displayed by your computer while accessing your pen drive media on your computer PC. Software is read-only and non-destructive utility which restore maximum amount of your data. Provide the recovery of data even if logical drive volume from your drive is corrupted. Recovers deleted music, pictures, digital images, files or folders. Restore all your files back in less turnaround time.